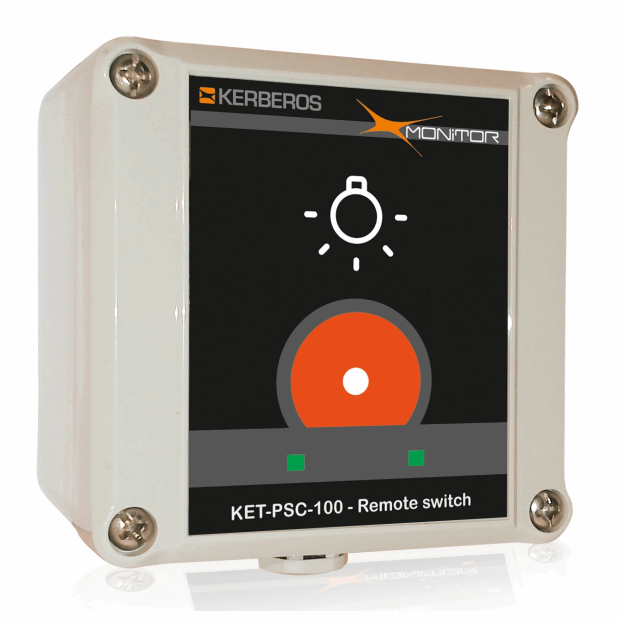 The KET-PSC-100 button is suitable to be used as control element in industrial environments. Using with the controllers of the X-Monitor it can execute simple or complex commands (timed pressure, double-click, etc.) for the activation of different features. The indicator LEDs incorporated can be controlled remotely indicating the success of the operation. The C-cell batteries provide a high level of autonomy while the degree of protection makes it suitable for even the harshest environments. The command KET-PSC-100 uses the network X-Monitor already. It comes with membranes of different type to adapt to the most varied requirements.